Andrew Reid at http://www.eoshd.com/ is someone I've got a lot of time for. His excellent site deals with DSLR based video, and despite his Canon based name he is a great enthusiast for m4/3 and the GH1 and GH2 for video in particular. 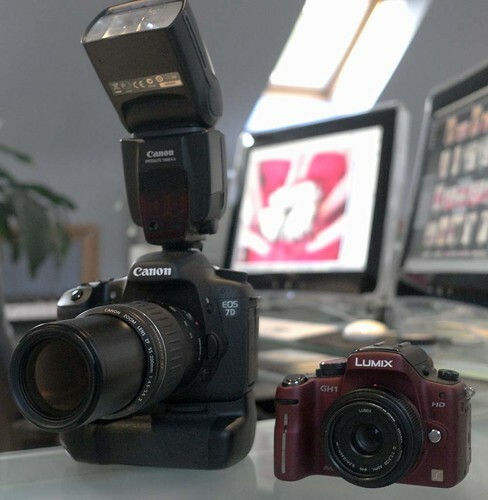 He's written an excellent article for Digitalrev on the GH2 comparing it with the Canon 60D. The link is below and its a good read. "In video mode, quality is excellent, easily beating the Canon 60D. But in stills mode although it's a good improvement over previous Lumix G cameras like the GH1 and GF1 it cannot match the Canon 60D or 550D." 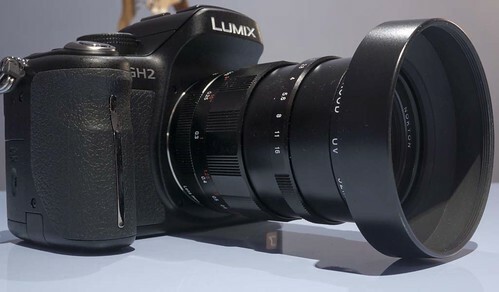 If you have been reading my pieces on the GH2 you will realise that this is somewhat different to what I have been saying. So who to believe? My suggestion would be, neither of us. There are now so many review sites and blogs all offering opinions on various pieces of photographic equipment. There are photographic magazines doing the same thing, plus lots of user feedback on forums and enthusiast websites. So there's a lot of opinion out there and sometimes its not always consistent. In terms of how I present things, its very much the case that all my conclusions and opinions are based on how I like to work. This can have all sorts of implications for how I rate things and the results I get. Plus there's an awful lot of subjectivity at work. This is very much a personal blog and though its mainly written by one person, is a compilation of the experiences of 3 different people. None of us lives and works in a vacuum, and we approach things with all kinds of previous history and prejudices. I've often stated that I like what Michael Reichmann does over at Luminous Landscape, but that doesn't mean that I agree with everything he says, or think that he's right all the time. There are things that he writes that I do indeed disagree with but thats the nature of opinion. What I do like is an honest approach. One that doesn't seem tainted with a need to keep various commercial enterprises happy, and not be TOO critical. There are sites and magazines out there where you get the feeling that advertising revenue is an important factor in determining the tone of a review. There is no advertising here. Thats not to say that I wouldn't ever add it, and I certainly wouldn't object to running banner ads for various retailers I use regularly and trust. Nor would I object to advertising certain products I believed in. Phillip Bloom has relationships with various manufacturers but that doesn't mean that I distrust his reviews of their products. The situation is such that there's no need to run advertising here. Much of the content is generated by the work thats going on anyway. The 11-part assessment of the GH2 was something I'd be doing as a matter of course, and most of the "test" images will be finding their way onto picture library websites, so the articles I published were very much integrated with my work. Assuming that I can continue to make a decent living, there will be no ads here. Recently there has been a large increase in the number of people visiting here. My Google stats. graph is starting to look like the Himalayas! Several sites have posted links here with a consequent increase in traffic. 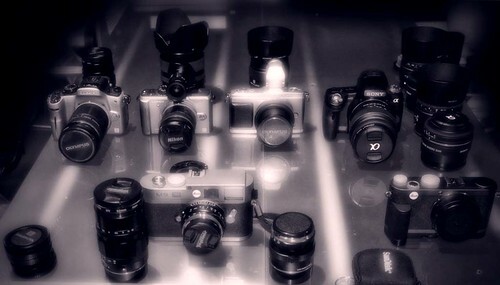 The Voigtlander 25mm f0.95 and GH2 series have proved very popular. This is very flattering and the fact that others choose to quote what is written here is much appreciated. However it presents a dilemma. When I started this it was to put together a diary of what I (we) had been up to, to improve my writing skills, and to find a place to store all those ideas, opinions and random thoughts that I had. I didn't really believe that anyone else was reading it, so just "let it all hang out!" When I did discover that I was not alone, I became a little more circumspect in what I wrote, realising that I actually had a (small!) audience. My first real concern was a comment by someone who said that they had bought a camera because of my articles on my experiences with it. I will admit that I was somewhat taken aback by this, and it was a bit of a shock. I hope that what I write is sometimes useful to others, and having gained a lot of useful knowledge myself by reading what others have chosen to share, feel that it is only fair to reciprocate and hopefully give others an insight into equipment use and photographic situations that they may not be able to experience themselves. However, having some influence over peoples purchasing decisions, even in a very small way, is something that makes me quite nervous. I have no intention, desire or indeed the capability to become a reviewer or present serious and objective test results. What I hope to present is a personal appraisal of the various kit I use in the very specific circumstances in which I and my colleagues work. I have always tried to be very careful in my language and avoid saying things like - "x is better than y" "I recommend a rather than b" etc. I have always tried to say how something works for me, and not be afraid to show some of the history that I have with certain brands, in order that I can present an honest account of how I rate something. You may have noticed that the statement on the top right of the page has changed. This is partly because of a change in our working relationship with the ending of the wedding photography and video business as a joint venture and also because of concerns that I have as to how what I write is perceived. "While we attempt to be objective in the main, we cannot guarantee that subjectivity and prejudice may not be evident in some of what we express! Plus changing our minds is not unknown! We appreciate your comments, though this is restricted to those with a Google account. We will occasionally answer questions, but sometimes may not have either the time (or the knowledge) to be able to respond." There are some questions that I really don't feel able to answer and if you don't get a reply it is often because of this and not rudeness on my part. If I can shed some light on something and run a test that I think is useful then I will. For example lots of people have asked, both here and elsewhere about AF speeds on the GH2 with regard to some of the more obscure lenses I use. I'm going to attempt to put together a video showing this in the near future, and hopefully it will be useful. If however I don't feel that I can do something well enough, or indeed have no time to do it then I will have to leave some questions unanswered. Writing a blog can be seen as the ultimate "vanity publishing" and there is no doubt that realising that others read what I write is gratifying, as indeed it is when somebody buys one of my photographs. However to finally get round to the title of this piece, do take what I write, and indeed what anybody writes with that "pinch of salt". I do with what I read and I expect no less from those who read what I write.